We are passionate about providing quality tutoring services in Maths and English that are relevant and that work. We will match your child with the best tutor to help them achieve their goals. If you’ve been researching tuition centres, you may be feeling overwhelmed by the various Maths and English tutors available. There are a lot of tutoring centres out there and it can be confusing to know which centre will be right for your child. We have specially designed and sequenced structured courses that successfully help students from Grade Prep to Year 12 gain more confidence in school tests and competitive exams. 7. Regular communication of attendance and results to parents on a weekly basis via our online reporting system. 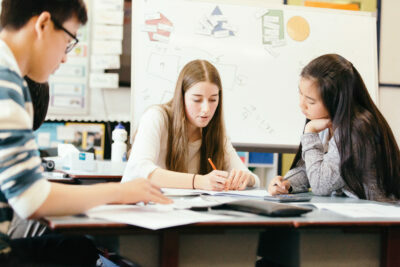 Firstly, we start off with a free assessment to find out what your child’s current level is in order to give you informed advice about what steps you need to take to help your child reach their Maths and English goals – whether it be to prepare for a scholarship or selective exam, become more confident with maths or how to achieve a certain ATAR to gain entry into your desired course. When you decide to enrol in one of our Broadmeadows programs, we take the responsibility of teaching your child seriously. Our materials are very carefully structured and sequenced to ensure that your child feels more and more confident with each passing week. If you want to find out how passionate we are, call us on 1800 668 177 and have a chat with us.